Shopping for your next new midsize sedan can quickly become a project of sifting through bold claims and hand-waving over which model is best. At Carter Volkswagen in Ballard, we think the German-engineered VW Passat is the best option, and we stand behind this with the research. One of the industry's great reputations comes with Honda, so we wanted to see facts behind the reputation. How does the new 2018 Volkswagen Passat compare to the 2018 Honda Accord? Get a preview in the following VW comparison information, and dig a bit deeper in our model detail pages. When you're ready to discover the benefits of a new Volkswagen Passat in person, schedule a test drive online or stop by our convenient location at 5202 Leary Avenue Northwest, Seattle, WA 98107. How Does the Design of the 2018 Volkswagen Passat Compare to the 2018 Honda Accord? The difference in design between the 2018 Volkswagen Passat and the 2018 Honda Accord is the difference between elegant German sophistication and a bold Japanese approach. However, consider which model is designed for the best value. While Honda is known for building reliable vehicles, it's the German engineers behind the new Volkswagen Passat that have enough confidence in their vehicle to back it with a better warranty. While Honda only trusts the Accord enough to back it with a typical 3-year or 36,000-mile basic warranty, the German-engineered 2018 Volkswagen Passat is built well enough for a basic warranty that lasts twice as long. You'll also enjoy the peace of mind that comes with a superior powertrain warranty in the VW Passat, and this is just the beginning of how it's designed to give you more for your money than the Honda Accord. How Does the Performance of the 2018 Volkswagen Passat Compare to the 2018 Honda Accord? The performance of the new 2018 Volkswagen Passat and the 2018 Honda Accord appear to be similar on paper, but this doesn't necessarily tell the whole story. Both models come standard with turbocharged engines, but it's in the new VW Passat that you'll find a 6-speed automatic transmission. This provides smooth defined gear changes with the proven reliability of fixed interlocking gears. 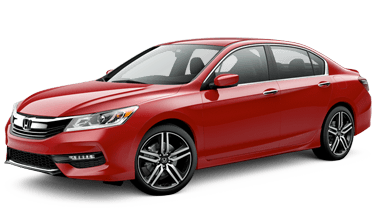 The Honda Accord comes standard with a new Continuously Variable Transmission that doesn't offer the response or definition of the traditional transmission in the Volkswagen Passat. Both models do offer upgrades, but it's the new VW Passat that offers a Direct Shift Gearbox (DSG), which is a dual clutch automatic transmission that offers faster seamless shifting without a clutch. You won't find this level of technology and performance in the Honda Accord. How Does the Safety of the 2018 Volkswagen Passat Compare to the 2018 Honda Accord? While the safety of the new 2018 Volkswagen Passat and the 2018 Honda Accord is quite good, there are some important distinctions to be aware of. Both cars did well in government crash and safety testing, but we were surprised to find that the 2018 Honda Accord has had 15 official complaints filed against it while no one has yet complained about the safety of the 2018 VW Passat. Even at the start of the new 2018 Volkswagen Passat lineup, you can get advanced safety technology like a blind spot monitor. You'll have to spend significantly more for a higher Honda Accord trim level to get their version of blind spot safety. What's more, you'll enjoy the comfort of knowing that you're next new 2018 Volkswagen Passat will safely and faithfully get you where you're going well into the future. That's because this renowned German engineered midsize sedan comes with a much better warranty than the Honda Accord.